The most common sports injuries are Strains, Sprains, Tendinosis, and Stress Fractures. 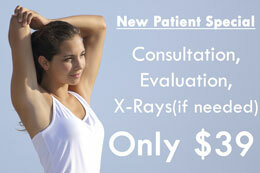 Strains and Sprains are very common injuries. When you accidentally twist or overextend a joint, it can tear the muscles and tendons. When you overextend these muscles, it can cause a strain. If the ligament then tears, it can result in a sprain. Tendinosis, or “overuse syndrome”, happens when certain joints in the body are overused. When these parts become overworked, it can result in pain and dysfunction. With the tendon being used over and over again, it becomes inflamed from the repetitious activities. 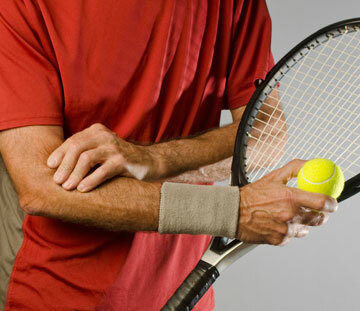 Tennis Elbow and Golfer’s Elbow are great examples of Tendinosis. Stress fractures are another injury commonly seen in regards to sports injuries. Stress fractures are also known as Fatigue Fractures. These fractures happen when there is a large, abnormal amount of weight being placed on a bone. It is extremely common in beginner runners who start off at a higher level than advised.